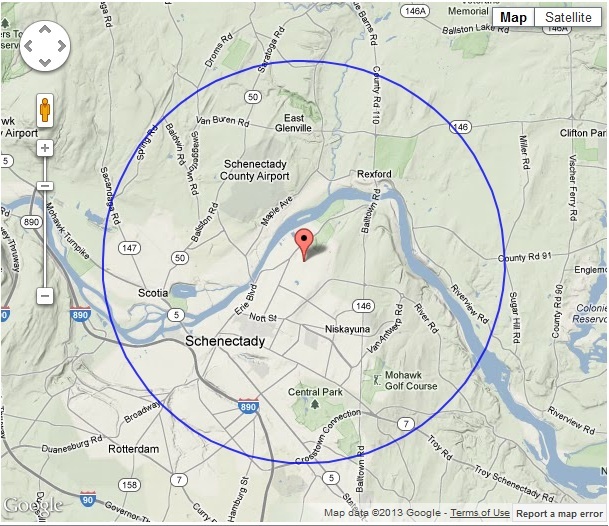 This can be a useful tool for those looking to gauge realistic coverage of a station in terrain challenged areas. It can also be useful for studying STL paths, RPU coverage, etc. One problem is the power levels and antennas are preset, with the minimum setting 200 watts into a two bay antenna. These settings are too high for use when investigating a potential LPFM. For that, the Radio Mobile Online (which is the engine behind the Nautel RF tool kit) can be accessed directly via www.ve2dbe.com/rmonline.html. Requires an account, which is very easy to set up. 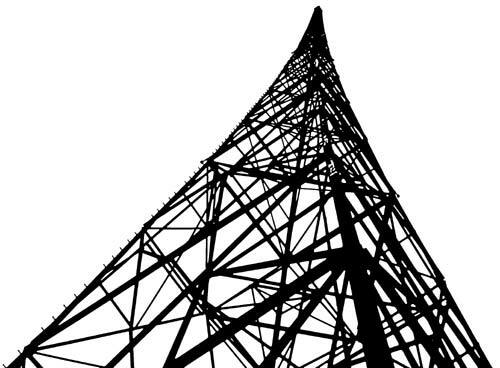 For most users, FM broadcast band frequencies will not be available, however 2 meter amateur frequencies (146 MHz) are the default, and for all practical purposes, will model coverage in the FM band (88 to 108 MHz) just fine. According to the US Census data, this station has a population coverage of; 30,721 in the 70 dBu or 3.162 mV/m contour, 92,574 in the 60 dBu or 1 mV/m contour, and 165,183 in the 50 dBu or 0.316 mV/m contour. Courtesy of REC Network. The 60 dBu contour is considered the protected area licensed for use by the FCC. This is based on predicted receiver location using terrain data; receiver antenna height 1 meter, 90% reliability, minimum signal level 10 µV (20 dBu, yellow, very good car radios) and 31.62 µV (30 dBu, green, good radios and indoor reception). Areas to the south and east of the transmitter are shaded by a large hill, thus they show low or no signal on the terrain based coverage map. UN Population data indicates the yellow has 178,573 and the green area has 72,014 persons. This map does not take into account co-channel and adjacent channel interference, which there is sure to be. When comparing the two maps, one can see the coverage holes in the terrain map that are within the 60 dBu contour. There may also be a slight difference in populations covered because the FCC map uses 2010 US Census data and the Radio Mobile Map uses UN population data. 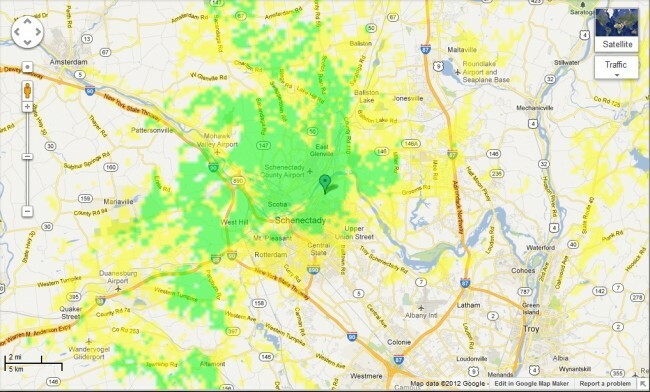 For general planning purposes, the area shaded in green would be a safe bet on good reception, all other things being equal. 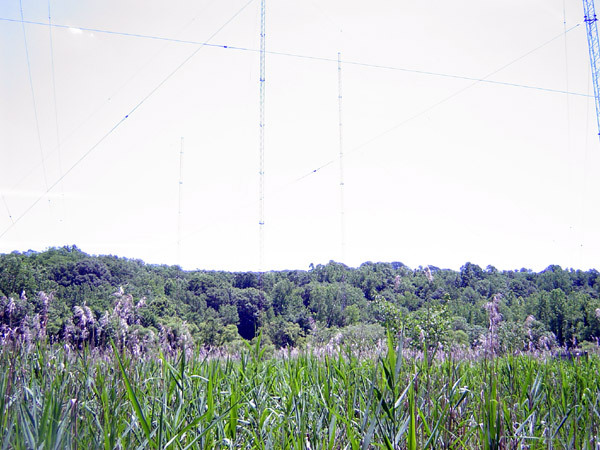 Since the LPFM stations are very limited in their ERP, finding a good transmitter site which will cover the desired area will be key to a successful operation.